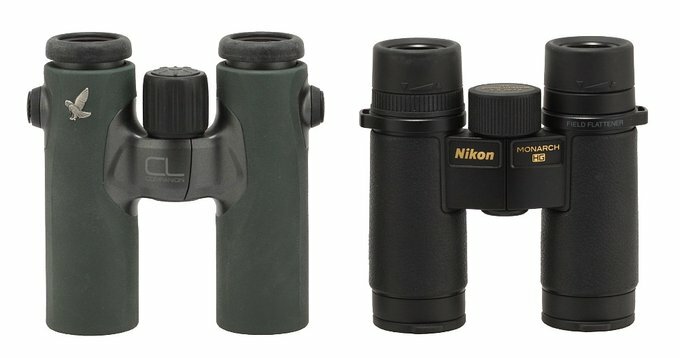 Nikon Monarch HG 8x30 - binoculars review - AllBinos.com . 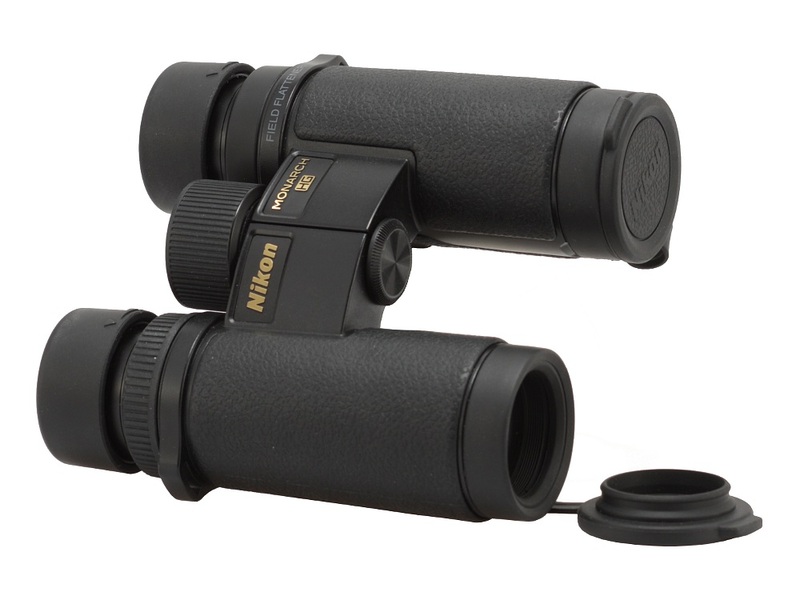 For many years the top-of-the-range Nikon roof binoculars were grouped in the HG series consisting of 8x20, 10x25, 8x32, 10x32, 8x42 and 10x42 models. In 2010 they launched an even higher range of products, marked as EDG. 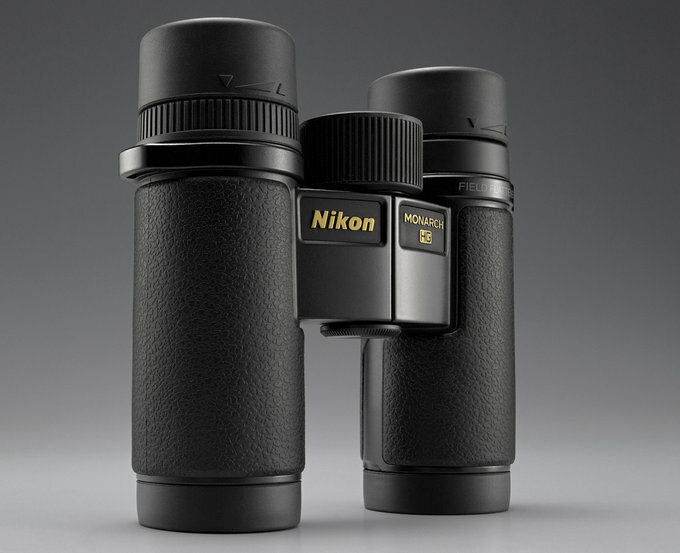 Meanwhile the HG series got a bit older and, as the rivals moved sharply forward, Nikon decided to launch its successors. In July 2016 two Nikon Monarch HG binoculars were shown to the public, the 8x42 and the 10x42. Two years later the Monarch HG 8x30 and 10x30 hit the shelves. Compared to their predecessors you deal here with a smaller, physically lighter casing and a wider field of view along with a shorter minimum focusing distance. The only negative change is a decrease in eye relief distance. 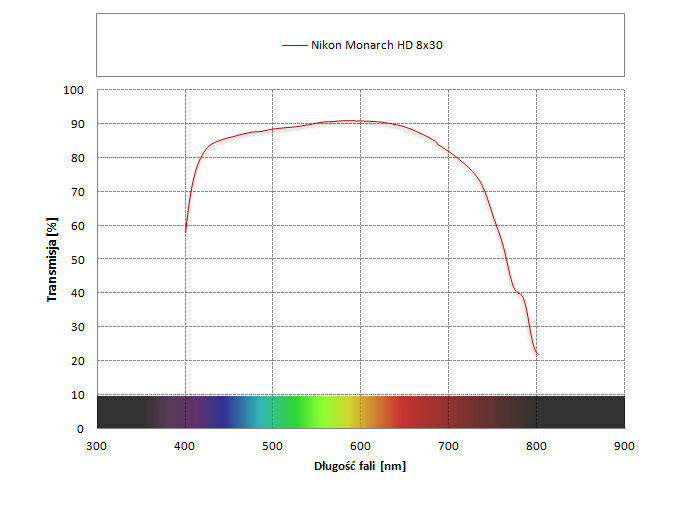 Still it should be noticed that Nikon resisted the trend of moving everything to China and their new Monarch HG series, like the predecessors, is still produced in Japan. When it comes to the optics you deal here with objective lenses that contain ED low dispersion glass. 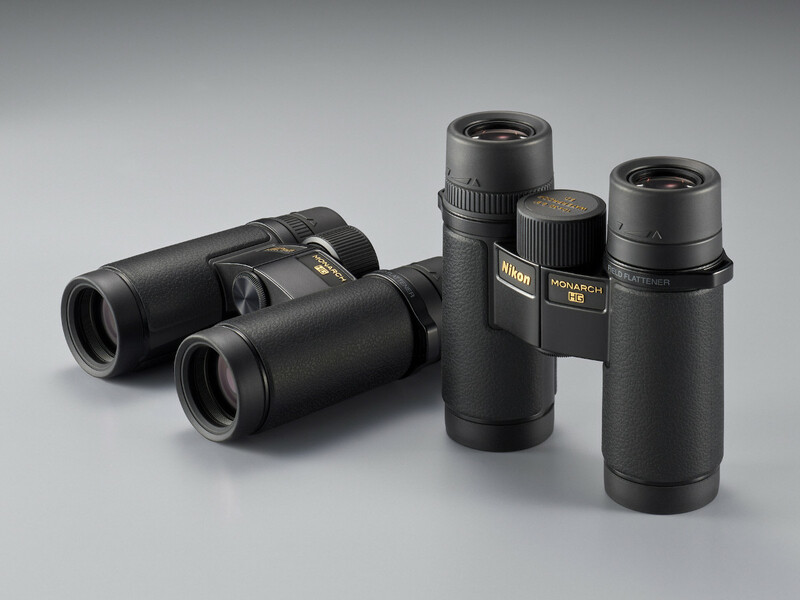 Dielectric high-reflective multilayer prism coating and phase correction coating are applied to the Schmidt-Pechan prisms; the construction of the eyepiece is such that it is able to flatten the field of view (Field Flattener Lens System) and removes all optical aberrations. All air-to-glass surfaces feature multilayer antireflection coatings so the maximum transmission is supposed to reach 92%. 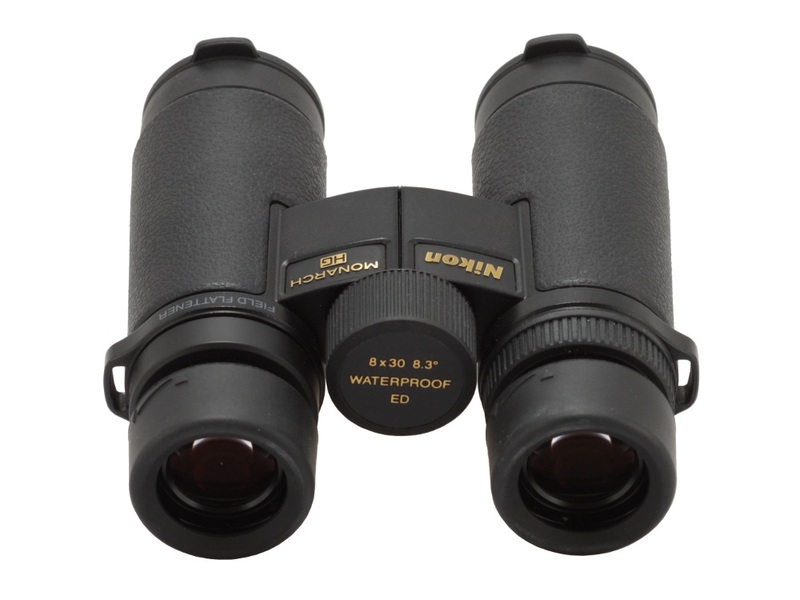 The body of this pair of binoculars is made of magnesium alloy. 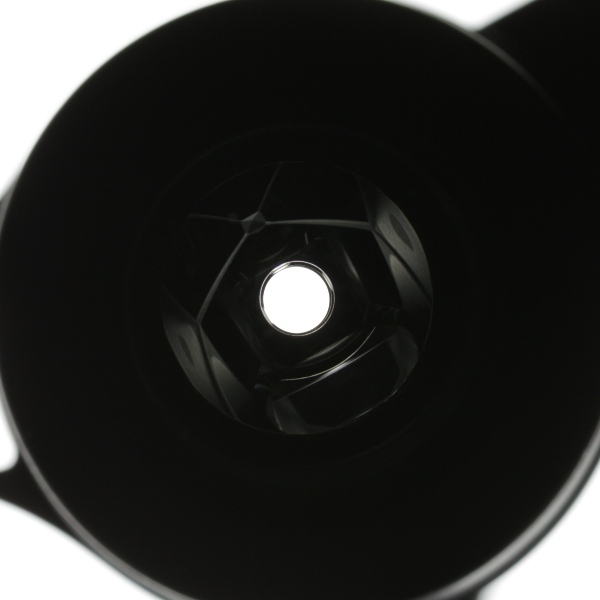 It is nitrogen purged and offers very impressive waterproof/fog-proof performance (up to 5 m for 10 min.) Outer elements are covered by special hydrophobic coatings. Buyers get a rainguard, rubber rings, objective caps integrated with these rings, a wide neoprene strap and a hard case in the box. The product comes with 10-year warranty period. sharp images already from 1.45 metres. exorbitant price, especially compared to the performance. 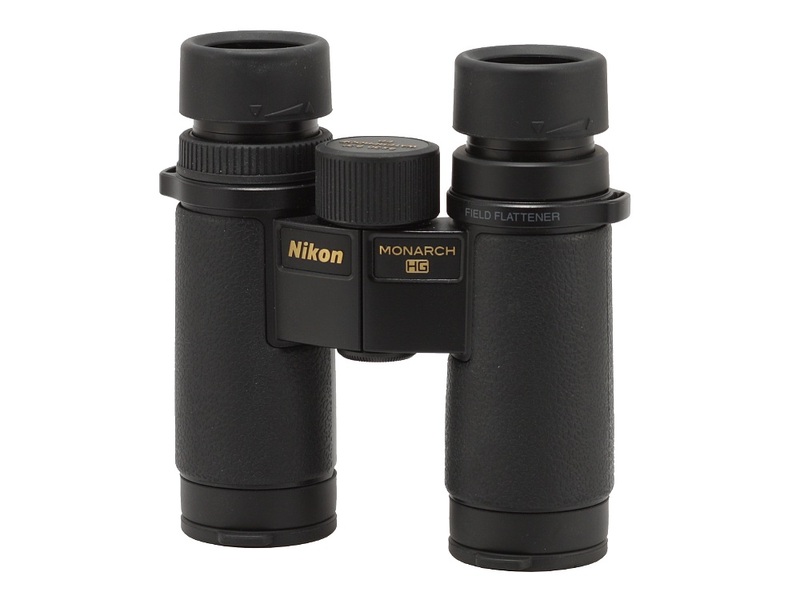 I admit it – our demands concerning the new Monarch HG binoculars were rather steep. The instruments were launched with price tags even higher that the prices of their 8x42 and 10x42 brothers. About 1000 Euro for an 8x30 class model is a lot – nothing less than a premium level. What's more, the producers aroused our imagination, promising a transmission of 92% and a flat field of view, guaranteed by their special field flattening system. It worked every single time – it's enough to look at our tests of the older HG series, the EDG series or the review of the Monarch HG 10x42. Time for the reality check – let's start with the transmission graph. Everything seems to work properly at that point. 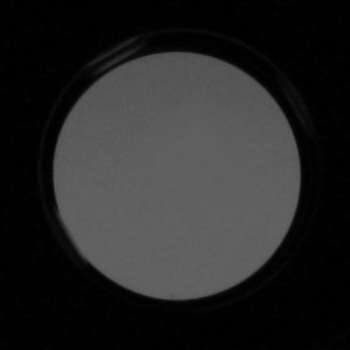 The binoculars don't reach the promised 92%, that's true, but at 600 nm wavelength you get a result near 91% so, within the margin of error, in accordance with the declared resolution value. 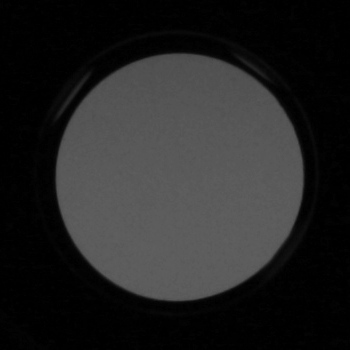 In the middle of the range you see a very good result of about 90%. What's more the graph is quite flat, ensuring you good colour rendering. Unfortunately the FIELD FLATTENER inscription on the casing of the binoculars seems to be just a joke of the producer. On the edge of the field there is a really huge blurry area, practically as big as the one you see on the edge of the Monarch 7 8x30, a device three times cheaper, without any field flattener. It is an obvious slip-up. 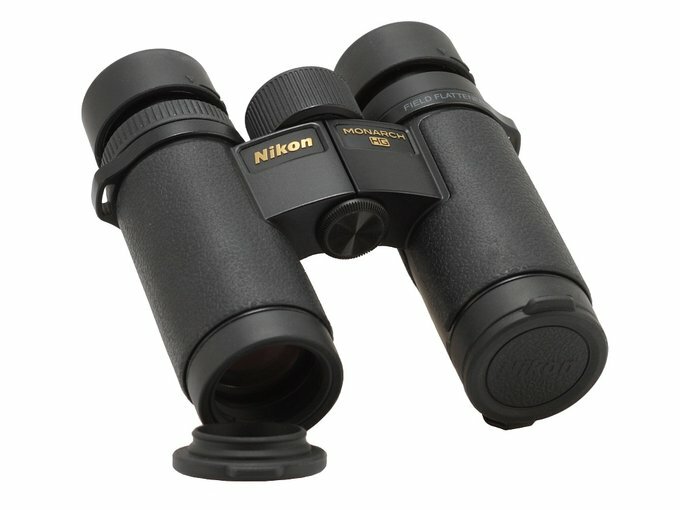 Swarovski CL Companion 8x30 i Nikon Monarch HG 8x30. Another slip-up: the blackening near the prisms. At this price point we expect perfection – everything should be dark, matt and excellently baffled – meanwhile here some parts shine, resembling interiors of models several times cheaper. As a result the area close to exit pupils is too bright and the performance against bright light leaves a bit to be desired. In our test we got too few excellent or outstanding results for the 1000 Euro price point instrument. Such aberrations as coma, astigmatism, distortion, brightness loss on the edge of the field or chromatic aberration are corrected well, a bit above average, but never very well or outstandingly well. Don't get me wrong – I wouldn't like to end my summary in a pejorative way. 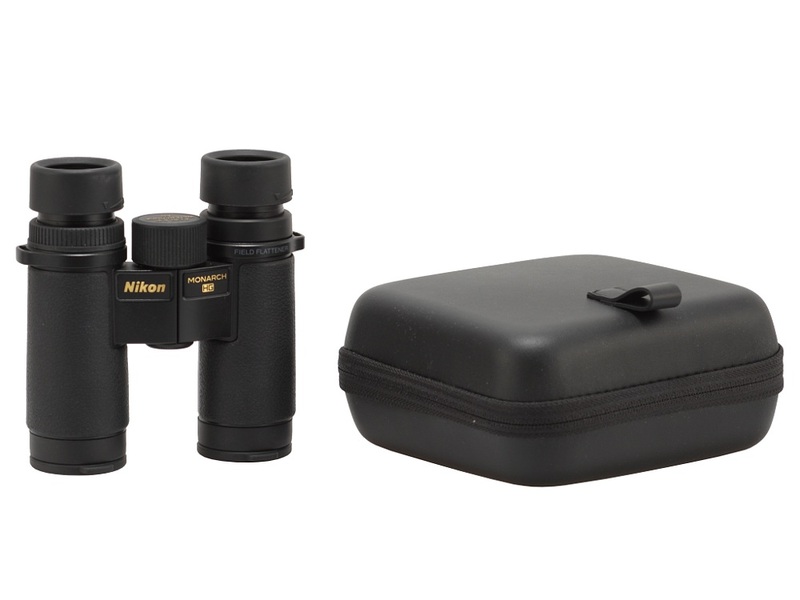 The Nikon Monarch HG 8x30 remains a very good pair of binoculars which will be undoubtedly a joy to use in most of situations. Still my job means I expected the best, basing my expectations on the excellent performance of the Monarch HG 10x42, a higher price of the smaller models, and unfulfilled declarations of the producer concerning flat image. The final result is such that the Monarch HG got merely 4 points more than the Monarch 7 8x30. Does it mean both pairs of binoculars are the same? Of course not. You have to remember each time we test and assess a completely new device. The Monarch HG has a lot of chances to serve you longer in a good shape because its superior build quality and better materials. I mean here especially the quality of the outer rubber armour which, in the case of the Monarch 7, is definitely a drawback – prone to stretching, making the whole device look not especially nifty after a while. Still the fact remains that for the price of one Monarch HG you can buy and virtually overdrive, three Monarchs 7... The conclusions are yours to drawn.